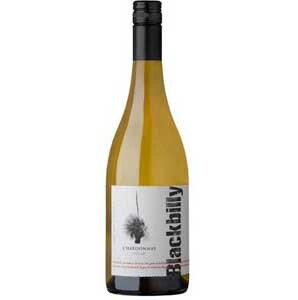 This vintage of Blackbilly Chardonnay was sourced from a single vineyard in the maritime Currency Creek region. Category: Blackbilly. Tags: Blackbilly, Chardonnay. Eyes: Medium straw with slight green hues. Nose: White peach, lemon curd with a waxy macadamia nut note. Light buttery complexity and some funky aromatics from the wild yeast influence and lees stirring. Mouth: Clean. crisp acid with stone fruit and lemon zest/pith. Some phenolic lift from the oak adds interest and appeal. Recommended food pairings: Salmon, chicken or pork pasta dishes, fish pie! 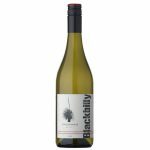 Growing conditions: This vintage of Blackbilly Chardonnay was sourced from a single vineyard in the Adelaide zone, more specifically in the maritime Currency Creek region. Winemaking notes: Simple, minimalistic winemaking techniques were used with an emphasis given preservation of fruit and varietal character. We have bottled it under screw cap seal to maximise freshness as the wine develops some complexity. Whilst it is intended to be drunk as a younger wine, cellaring will allow it to develop some interesting characters. Last tasted notes: Clean, crisp acid with stone fruit and lemon zest/pith. Some phenolic lift from the oak adds interest and appeal. Needs a little time to meld together.